The Soul’s Mark: Found by Ashley Stoyanoff. After almost a century of searching for his soulmate, Mitchell Lang fears the worst—he is going to lose Amelia to another man. His heart takes over, and his impulsive decision to take away her free will and to intensify their bond quickly turns her growing love into hate.When they become trapped in the emotional rollercoaster of their souls’ bond, open conflict erupts. Amelia has no intentions of belonging to anyone, not even her soulmate, and Mitchell refuses to let her go.While she frantically searches for a way to escape his grasp, Amelia unlocks the painful memories of her past and uncovers a powerful secret. But before she has a chance to explore her newfound edge, she finds herself caught in the middle of a deadly game of revenge and is forced to realize that YOU CANNOT RUN FROM DESTINY. ** This title was provided to us for an honest review. 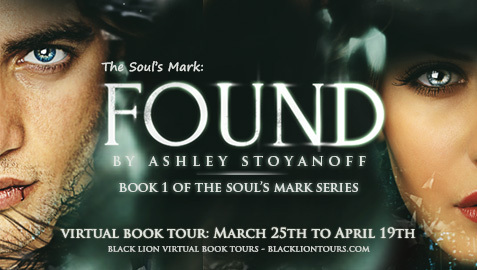 The Soul’s Mark: Found by Ashley Stovanoff was an addictive read that had a twist on the connection between a vampire and their prey. But I this case, the prey is their soul mate, and the connection is that they no matter what lifetime they are in, they are truly meant to find each other. The reason this all came to be was all because of a curse cast by a witch (Isn’t that how they all usually start?). So Cole’s Note’s version, a pissed off witch decided to seek vengeance against vampires by ridding them of their souls and putting into unsuspecting humans. The vampire is then left to search for their soul mate who can show up during any life time and place so that they can claim that person as their own, and seal their link to each other. Sounds simple enough, right? Not so simple for Amelia. Since the death of her parents, Amelia has had vivid dreams about a man names Mitchell whom she has fallen head over heels in love with. But never in a million years did she think that the man of her dreams was real…and a vampire! As Amelia travels to a new school by way of scholarship, she finds out that not only are her roommates breathtakingly beautiful and good looking, but they all seem to have a hidden agenda…to ensure that Amelia is happy and is not harmed in any way. Amelia is not quite sure how to handle her knew status as Ms. Popularity. Although it seems as though a majority of the kids seem genuinely kind and interested in her, there are those that have been consumed by the green eyed monster. After kissing not one, but two guys, Mitchell decides that the time has come to reveal himself to Amelia, and to claim what is his…his soul mate. But it seems that their personalities clash and it’s full out war between Mitchell and Amelia. The sweet Mitchell that she knew and fell in love with seems to have all but disappeared, and in his place is this controlling monster who will stop at nothing to make sure that Amelia does what HE wants, regardless of what she decides. But with a past that takes Amelia by surprise, a life changing decision presents itself, and Amelia must decide the path of her destiny. I flew through this book. I literally could not put it down. I had to find out what Amelia would choose, what decision she would make. I was obsessed with Mitchell. A character that I loathed (at times) and fell for at the same time. Mitchell is such a sweetheart. With the way in which he finishes his sentences with “love” when speaking to Amelia, and the way in which he does not hide his emotions. How he would show up at the right time when he was needed the most. Ugh! I wouldn’t mind reading more about him! What I didn’t like? His controlling ways at times. I could see why Amelia would get so frustrated with him. As for Amelia…well…I did give her the benefit of the doubt. Having to deal with the loss of her parents, and on top of all that, having to witness them murdered right before her eyes will do something to a girl. I get it! But seriously, tone down the anger! I don’t think there was one character in the book that she didn’t yet at! Ok, ok I may be exaggerating, but seriously, she yelled at everyone. She was so quick to lose her crap, and snapped at everyone. And then she would constantly cry. OVER EVERYTHING! In my head I was thinking…what does he see in her? The other characters found in the book were really enjoyable and all had their own personalities that readers everywhere will enjoy. I was reminded of Twilight in the way in which Angelle, Eric, and Luke would protect her. Especially the part where they go to Erin’s party and they are flanking her and making everyone back off. I could easily see Rosalie, Jasper, Emmett, and Alice do that for Bella under the direction of Edward. There was mention in the book about a prophecy that involved Amelia, but nothing else really came of it. Perhaps in book 2, we’ll find out what exactly this prophecy entails, and what role Amelia plays in it. Fans of reads involving vampires and soul mates will thoroughly enjoy this new series by Ashley Stoyanoff. I know I personally cannot WAIT to see what direction the author is going to go in book 2. 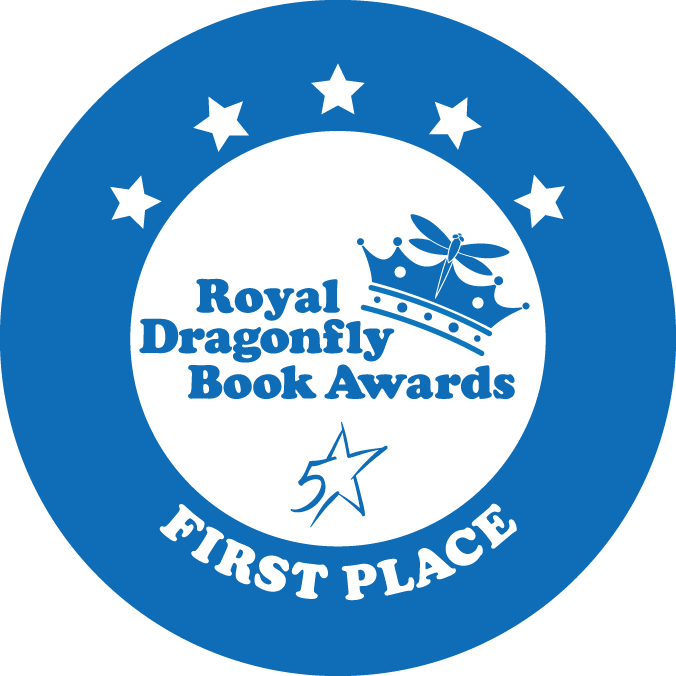 ‘The Soul’s Mark: FOUND’ Won 2012 Royal DragonflyBook AwardWith a Perfect Score for Young Adult Fiction. “What the hell is going on?” Angelle yelled, jumping in between them. She snatched the broom out of the woman’s hands and tossed it out of reach. It flew across the room, and slammed into the wall before clattering to the marble floor. “That’s enough.” She grabbed the man by the shoulders and shoved him away. “He’s ruining my kitchen. Look at this mess,” the elderly woman said in a tizzy, surveying the mess. Amelia followed her gaze and noticed that the yellowy goo was splattered everywhere, smeared across the large cherry island, globbed on the weathered black wall cabinets, dripping from the ceiling, as if a bomb of stickiness had gone off. The man was rubbing his shoulders, looking at Angelle as if she had really hurt him. Amelia stood back and watched, trying to stay out of the way. He was just as tall as Angelle, and bulky with muscles like a football player, a really hot football player. “I was just trying to make pancakes for Amelia,” he said, smiling bashfully at Amelia. That’s Eric, Amelia realized. She giggled. He really was looking green. That’s what the guard had been talking about. His shaggy, uneven, punk style haircut was dyed in a vibrant, bright green. Hot, she thought. Green hair, hot? Well, on him, yes, it was really hot. He was covered in the same sticky goo–pancake batter? Eric dropped into a gallant bow and she giggled like a little schoolgirl. He took her hand in his, and kissed it lightly. “Welcome my lady,” he said playfully. 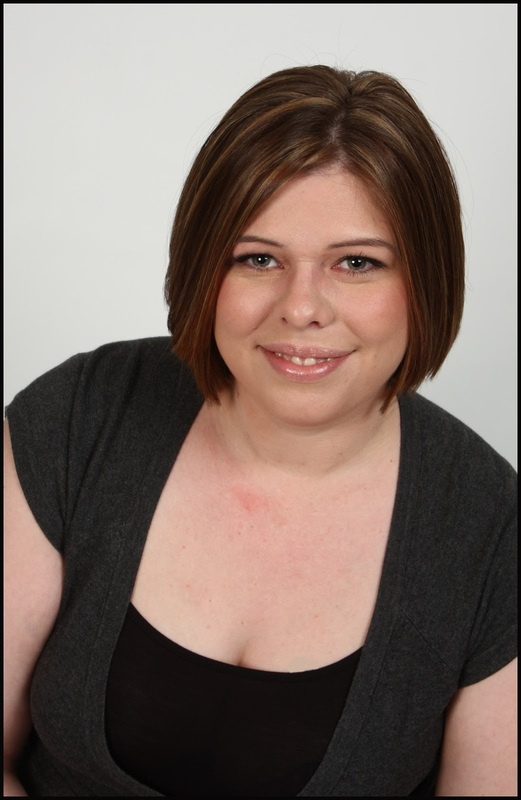 Ashley Stoyanoff lives in Whitby, Ontario and loves diving into the magical world of creating fiction. Over the years she has written numerous short stories. The Soul’s Mark: FOUND is her debut novel. When not writing, she can be found reading sappy novels, watching cheesy chick flicks, and buying far too many clothes. ​​​​March 25: Bl​ack Lion Tours Blog: Introduction​. March 28: Tina’s Book Reviews: Promo. ​March 29: Clean Romance Reviews: Promo. ​March 30: Vanilla Moon Blog: Promo. ​April 1: Marked by books: Review. ​April 2: Laurie’s Paranormal Reviews: Promo. ​April 3: Kimberly Lewis: Promo. ​April 4: Bookworm Lisa: Review. April 12: A Book Lover’s Library: Review. April 14: Makayla’s book Reviews: Promo. ​April 16: Deal Sharing Aunt: Review and Promo. ​April 17: Libby’s Library: Review and Promo. April 18: Le Vanity Victorienne: Review and Promo. ​April 19: Black Lion Tours Blog: Wrap-up. A Vampire! I’ve AWAYS LOVED vampires even when I was a kid, I wanted be a vampire EVERY year for Halloween! :) Thanks for the giveaway! I’d have to be unoriginal and say vampires, my favourites are witches but they’re not really paranormal per se. At the moment my favorite is shifters ♡ I’m reading book 7 in the Mercy Thompson series and these werewolves and that were-coyote have me hooked all over again. I have always been a vampire girl but am not starting to love shifters almost more…almost. I love most of them, vampires, witches, faeries, aliens well you get the picture. The only thing I don’t like are ghosts. Other than that I love reading about all of them. Thank you for another amazing and generous giveaway!!! I love all the different kinds of paranormal, vampires, shifters, fae, elves, angels, demons, dragons, elves, elementals etc. At the moment, I am partial to dragon shifters since I just finished reading the 1st four books in Deborah Cooke’s Dargonfire series and Dragonbound by Jade Lee.